Our spokespersons’ words in Puisaye-Forterre - Burgundy. Our spokespersons are those who contribute to publicise our territory by their actions or with sheer testimony of their attachment to the land. 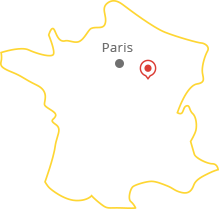 Here you will discover local people’s secrets, their favorite places, their activities or even the standards of life in Puisaye.